The JBC Hot Air stations use jointly protectors and tripods for a faster and more comfortable desoldering job. 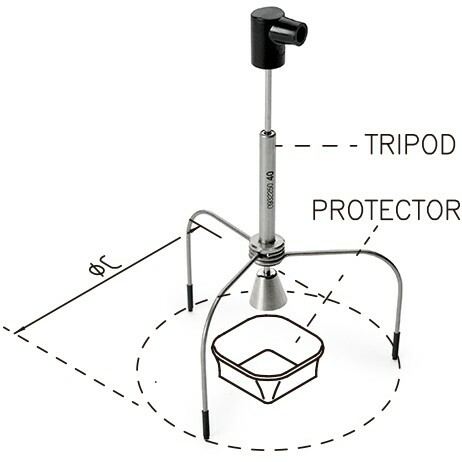 Tripods allow the user to remove the desoldered component easily. (*) Supplied with JT and TE stations.